Now it can be revealed: JG Thirlwell will be releasing two albums on the same day on Ectopic Ents in early October 2013. The long awaited Foetus album, SOAK, which is a companion to 2010′s acclaimed epic HIDE, will finally see the light of day. The 11 track album contains a ton of new material, including the Foetus cover of “Warm Leatherette”, a remix of “Cosmetics” by Secret Chiefs 3 and more. It continues and expands on some of the themes explored on 2010′s HIDE and features guest appearances, including opera singers Abby Fischer and Natalie Galpern. 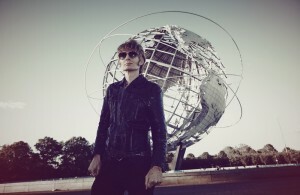 In addition, JG Thirlwell’s chamber soundtrack to the film “The Blue Eyes” will also be released. The original score was created for Eva Aridjis’ Mexican-lensed thriller, and is performed with an ensemble including violin, viola, cello, french horn, contrabass, tuba and bass trombone, in addition to piano, percussion and electronics. Both albums will be exclusively available through the website www.foetus.org, and digitally soon thereafter. We will be taking orders around the middle of September. More info coming soon.